Perfect your style with a runway-ready Glow! Ordinary finishing oils are designed to add vibrancy back into hair but often contain Sulfates, Parabens, Alcohol and other ingredients that can make hair dull, dry, and faded. °Coolway’s Glow™ contains none of these harmful components. 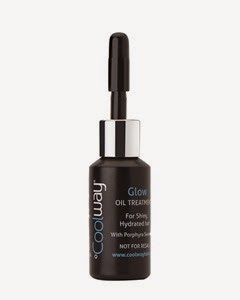 It combines a natural and nutrient-rich formula of Vitamin E and Porphyra Seaweed extract to maintain moisture and balance so your hair remains beautiful and shiny throughout the day. 35% off + free Knotty Girl Brush with code ipsy15 until 4/30/15. My thoughts: I used this after flat ironing my hair and it felt like it smoothed out my hair nicely. 25% off with code NYXBUTTER until 4/30/15. 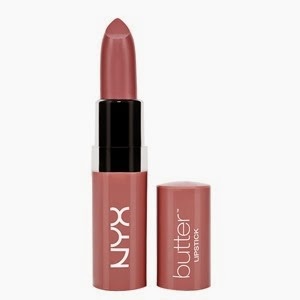 My thoughts: I haven’t actually tried this yet, though I have liked all of the other NYX Butter lip products I have tried. This fresh and pretty neutral pencil will brighten and visibly lift your eyes when lightly applied on the brow bone, dark circles, blemishes and red spots. In addition, this multi-purpose pencil can be used to brighten and “open” the eye area by applying to the water line and inner corners of the eye. 25% off with code ipsy2015 until 4/30/15. My thoughts: I did try this and it went on smoothly. I am not sure it made much of a difference, but I would like to try again as a proper highlighter rather than just applying to my brow bone lightly! Cleanse the day away in one simple step with this sulfate-free blend of Soy Milk, Whole Oat and White Tea. This gentle cleanser leaves your face silky soft, without a trace of impurity. 30% off + free gift with code IpsyMarch30 until 4/30/15. 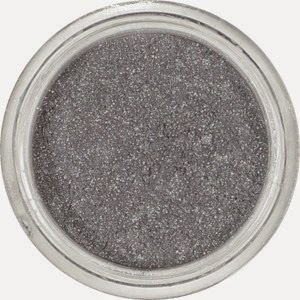 My thoughts: I used this one morning when I applied too much eye shadow and it worked very well to clean up my eyelid! I plan to use this more often. MARSK Mineral Eyeshadows are 100% natural, mineral based loose powder that are strictly cruelty free and available in a range of striking shades that offer endless color possibilities for a professional makeup effect. Featuring a creamy texture, these highly pigmented powders can be used both wet and dry, are easily blendable and offer you the ability to create depth and intensity around the eye. 20% off with code IPSY2015 until 4/30/15. My thoughts: This works really well! I mentioned above how I applied too much eye shadow – that was this one. I find that only using a little goes a long way! Once again, I pay $10 a month for these bags. I love seeing what comes my way each month! The value received this month was $55.87, a nice value! I don’t have a favorite item this month because they are all things I will use!